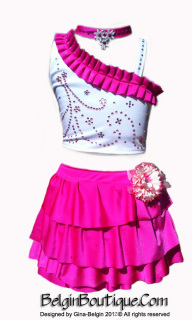 Full Glitz and Gorgeous; such a beautiful and age appropriate swimwear for your little princess. So girly with unique and beautiful crystal design on the front of the top. Made from extra stretchy fabric. Adorned with handmade crystal design on the front of the top. 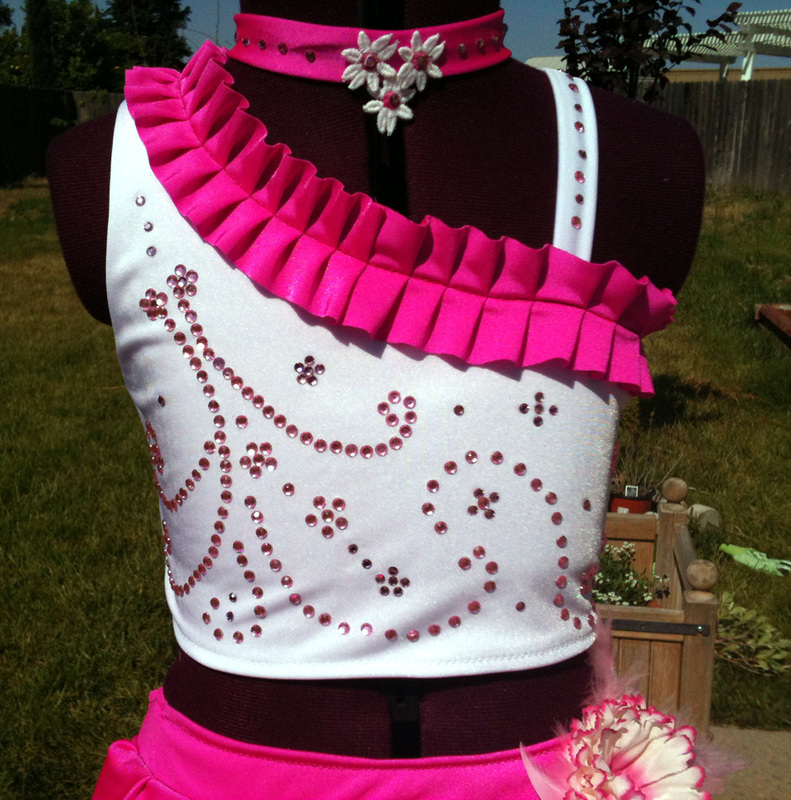 Glitzed with Swarovski and crystal rhinestones... just too darn cute! My swimwears are fully line! The handmade design could vary a little bit. 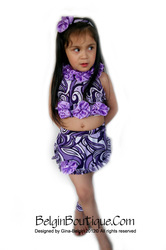 The mini skirt is made from three different length ruffles. 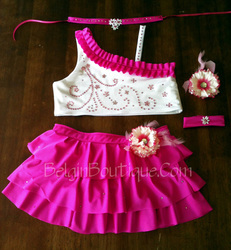 The skirt is also adorned with crystals and a little beautiful flower with feather accents on the right side. Set comes with a matching flower hair bow. 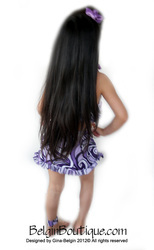 If you don't find the style that you are looking for, contact me. Together we can create a unique set! 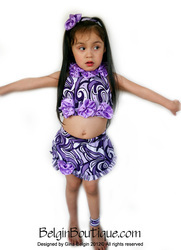 Full Glitz and Gorgeous; such a beautiful and age appropriate swimwear for your little princess. 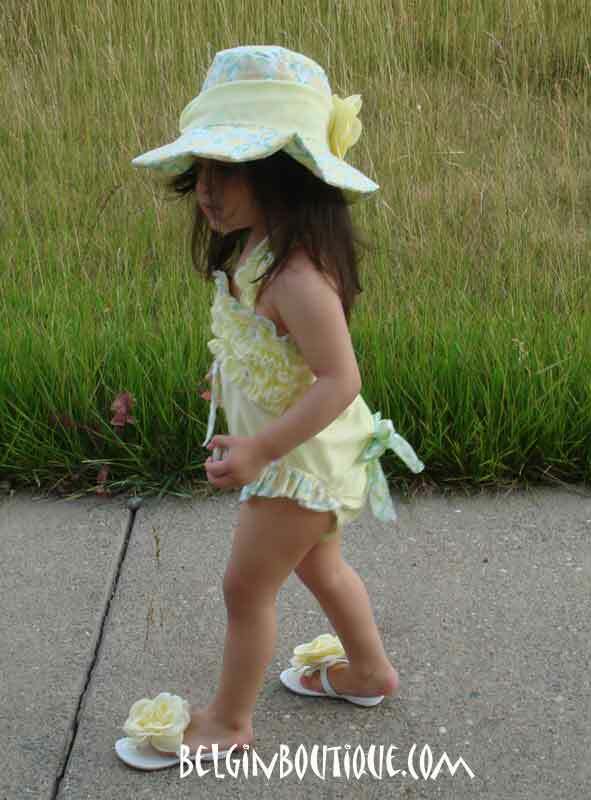 Girly, spunky, and babydoll sweet all rolled into one! 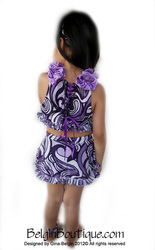 The top has an inverted V halter style neckline and is adorned with handmade lavender satin roses. All Glitzed with Swarovski rhinestones... just too darn cute! A pair of fully lined and comfortable shorts underneath the mini skirt. All of my swimwears are fully lined! 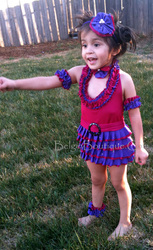 The top is made from red stretchy fabric and adorned on front with double hearts. Each heart is embellished with stones. Closes on back of the neck. Fully lined with soft lycra fabric. 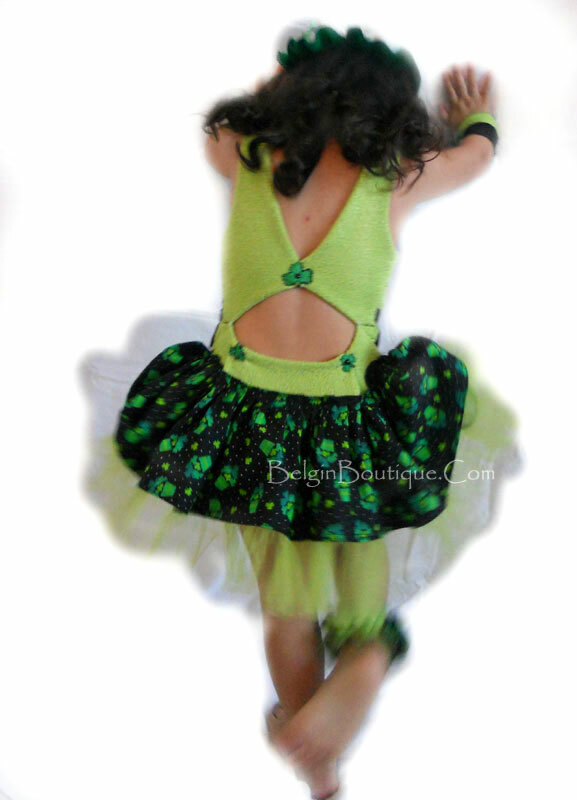 The tutu skirt is made from a combination of red and white tulle. It comes with shorts underneath made from matching red fabric. I added a stone on the waist! The arm-warmers are made from white lace. 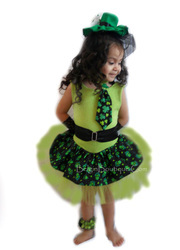 Choker and two matching hair bows are included. The set will include everything you would need! 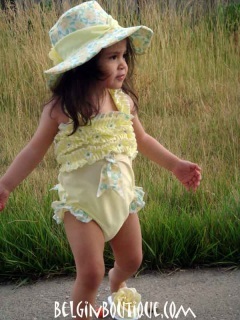 One piece swimsuit made from extra stretch fabric. The ruffles collar close around the neck. Skirt made from double ruffles. It comes with a belt with a buckle. 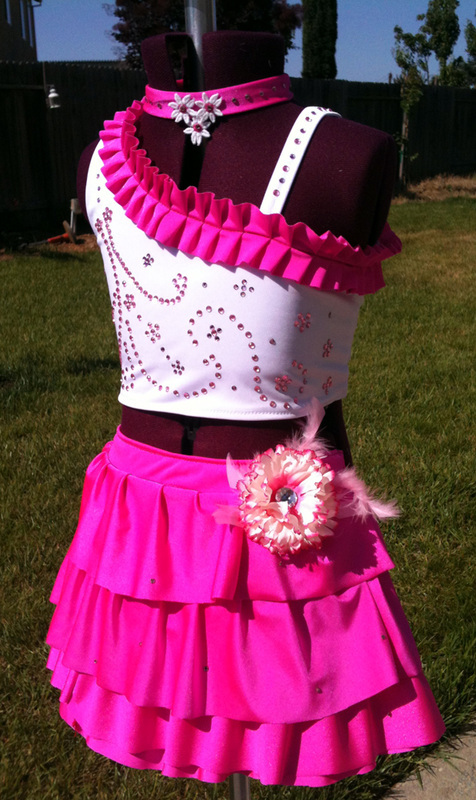 I added crystals around the skirt! 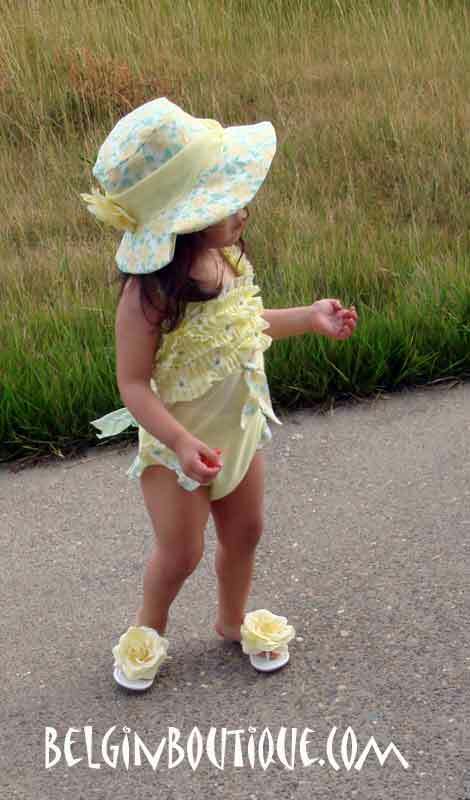 One piece swimsuit made in different shades of yellow. 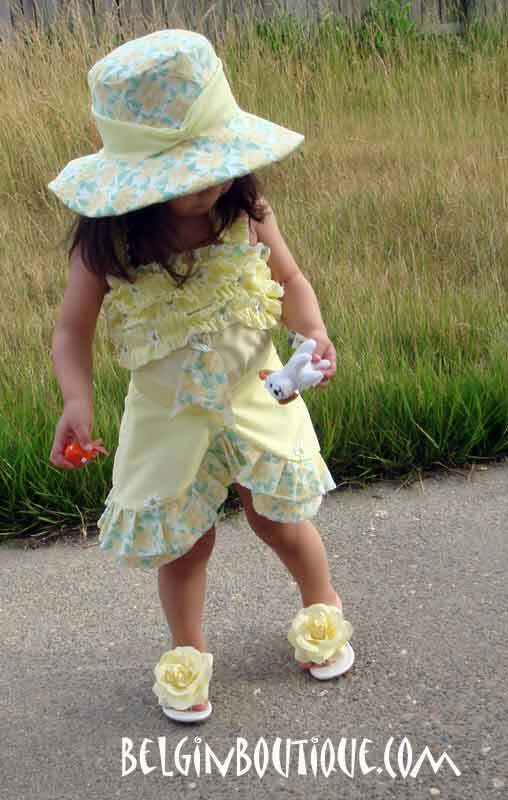 Adorned with a lot of ruffles along the top half of the front and little daisies. Made with elastic on the back for the perfect fit. The swimsuit ties on back of the neck. 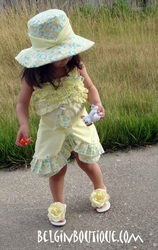 There are also ruffles on back of rear and added ruffle on each leg! 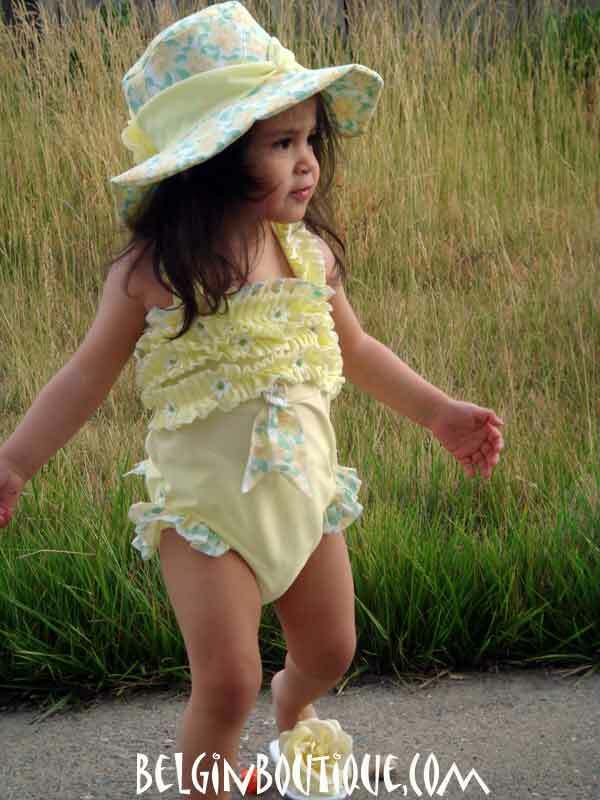 One piece swimsuit made from stretchy lime green fabric. The waist is accented with a black buckle belt. 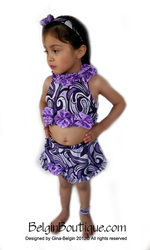 The swimsuit has a cute mini skirt, but could be made in the length that you prefer. The back of the swimsuit is so beautiful! Comes with a matching tie and little hat!